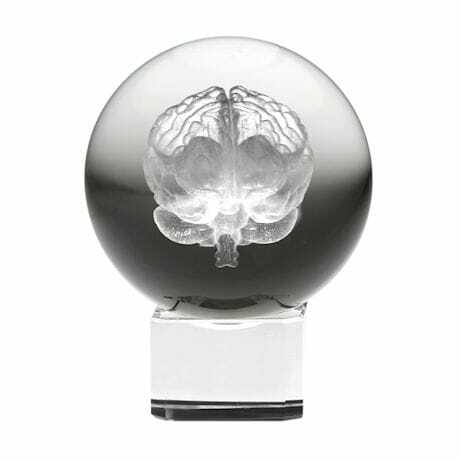 The art of laser etching can create incredible effects, and these crystal-clear balls are exceptional examples. 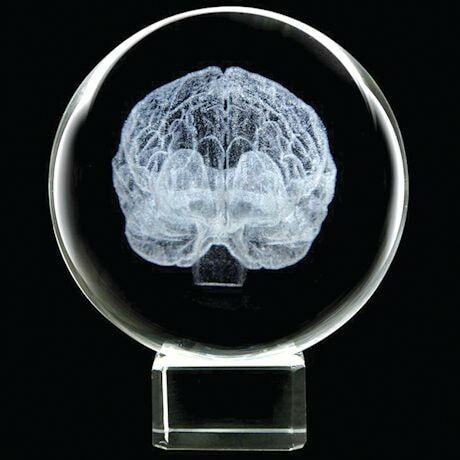 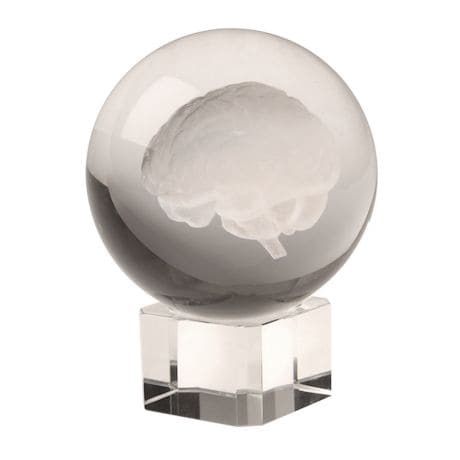 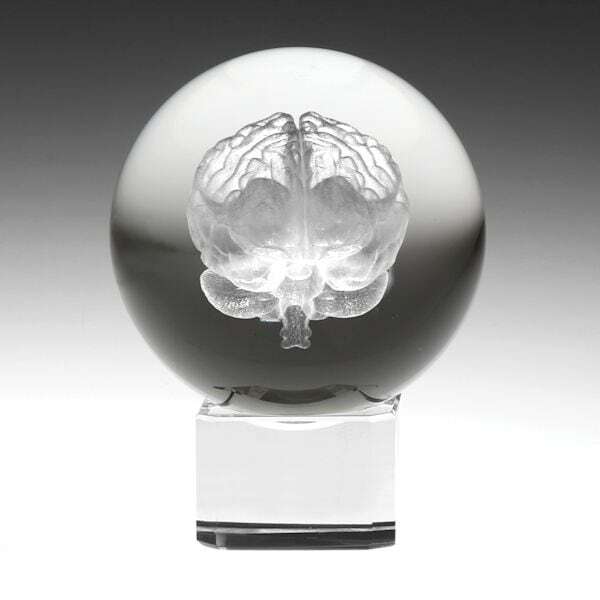 The Brain sphere and small cube base are lead-free crystal. 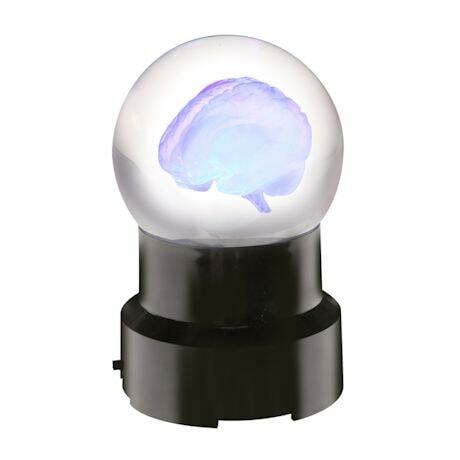 Also included is a LED lighted plastic base that uses color shifting lights to illuminate the incredible details inside the brain. 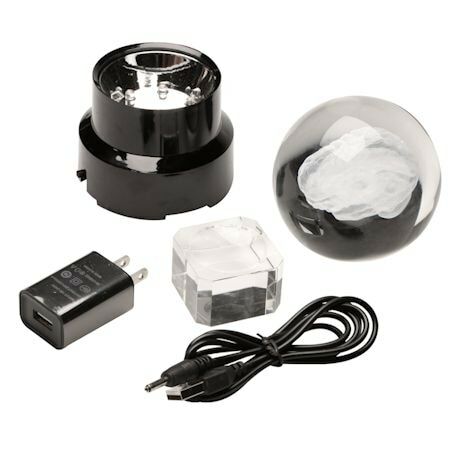 Comes gift boxed with a 3" crystal sphere, a 2 3/4" square by 1" high crystal stand, and a 2 1/4" tall lighted stand with USB/AC adapter. Also runs on 3 AAA batteries (not included).